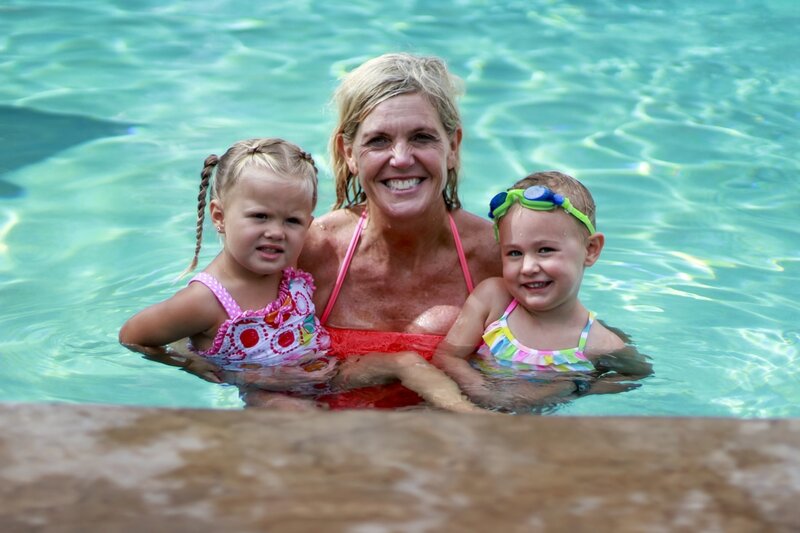 Lisa Hogge is a Master instructor with 17 years of experience with Float2Stroke Swim School and 7 years of experience with teaching the Red Cross method. She has a B.A. in Elementary Education and a minor in Physical Education and Fine Arts. Lisa taught Pre-School in her home for 4 years while raising her young children. She also taught one year with the Davis County School District and was the Computer and P.E. Specialist. She was also Mrs. Lindon in 1999 and received an award for the most ads sold. Lisa received the PTA volunteer award for Lone Peak High School in April of 2011. She was involved in spear heading the "Be The Change" Program. She had t-shirts designed for the students, teachers and PTA volunteers. Banners were also made and hung throughout the school to be used from year to year. She raised several thousand dollars to help fund the program and got many local businesses involved. She also spent several hours in meetings and made major decisions to help this program be a success for future years. She trained with Master instructor Pam Young who has over 30 years of teaching experience with survival swimming. Lisa trained over 200 hrs. in the water and did extensive research in child psychology and development. She has specifically been trained in working with children who have water fears.